* Size: about 3.15 inch x 5.91 inch / 8 cm x 15 cm. * One size fits most Men & Women. * Fiber contents: 85% Cotton, 8% Elastic, 7% Nylon. 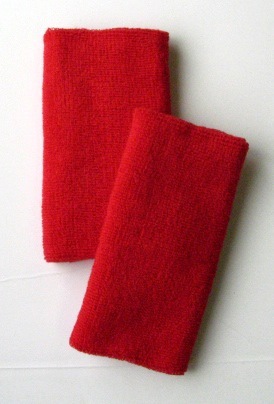 * Comfortable, Absorbent Cotton Terry Cloth. CURRENTLY OUT OF STOCK UNTIL FURTHER NOTICE.